Weathering the storm through their meteorological reports, meteorologists like Morgan Kolkmeyer brings the smiley sunshine to the seemingly gloomy days. She is a weather anchor at Tribune Media’s WGN-TV. According to her Twitter, she constantly gets excited about the weather and you would agree with her no less. The fact is evidenced by her noteworthy contribution to meteorology and journalism as you would read shortly herein. The Rockford, Illinois native has done a wonderful work in concealing her exact year of birth leaving many a fan in wild guesses and speculations. However, the only detail about her nativity is her place of birth, the month, and the date. She celebrates her birth anniversary every September 3. Growing up, she was a focused and determined child that surmounts any challenges that may present itself in her bid to get to her desired end. She was also athletic and impressively dexterous. At the age of 4, she started playing basketball and played competitively throughout her teen years. Kolkmeyer attended Harlem High School where she played shooting guard for the Huskies and graduated in 2009. She also took up the piano at age 7 and stuck with it for seven years. She witnessed the first of four individual hurricanes to strike Florida during a family vacation in South Carolina in August 2004 – Hurricane Charley, which was one of the strongest hurricanes ever to impact the nation. Kolkmeyer was awed by not just the hurricane but also a twisting tornado and in turn, developed a love for weather that she decided to carve a career in the field. Following high school, Morgan attended Rock Valley College for two years before she transferred to Northern Illinois University where she made good her earlier decision. 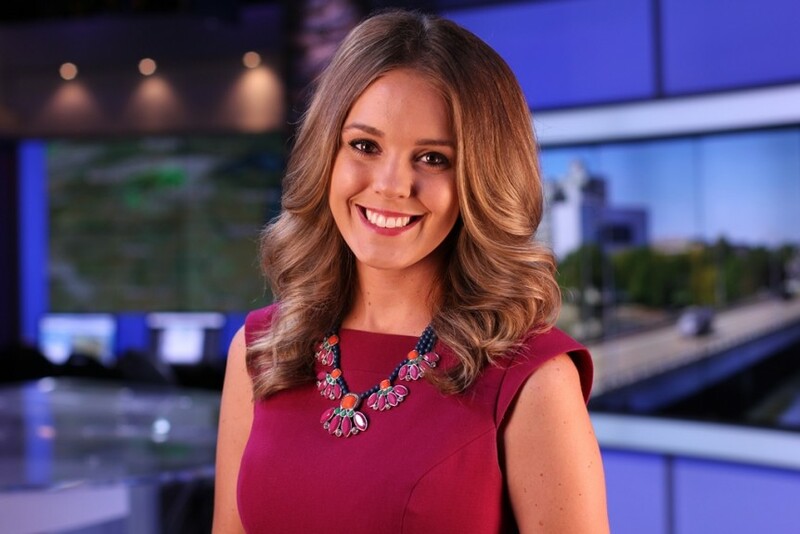 During college, her passion for her eventual destination, meteorology was further fuelled when she had the opportunity to intern at two TV stations:13WREX and WISN. In May 2013, she graduated with a Bachelor of Science degree in Meteorology and a minor in Applied Mathematics. According to her, she wanted a career that involved math, weather, and public speaking. Following her studies, she pursued her dream headlong, kicking off her professional career as a Weekend Meteorologist and reporter for the FOX 21 KQDS-DT in Duluth, Minnesota until July 2014. Next, she pitched her tent with WREX-TV where she served as Morning and Midday Meteorologist as well as the Morning News anchor. Therein, she delivered three years of intense reportage on the weather and won many a heart with her charm and charisma. In May 2017, she joined the WGN WeatherCenter team as a meteorologist. The following month, Morgan Kolkmeyer moved to the Chicago’s WGN Morning News as the weather anchor on weekdays from 4-6 am replacing Demetrius Ivory, who moved to WGN Midday News where she reports the weather and at 4 p.m. on WGN Evening News. Her love for the weather and its presentation has only appreciated over the years and she does not shy away from innovating ideas to bring the desired information to her viewers despite challenges. After all, weathered rocks appear more beautiful and the challenges only make it all the better. On October 10, 2018, the WGN meteorologist was set to do her work when the Center’s graphics computer failed. That didn’t deter Kolkmeyer at all from her mission. The plucky meteorologist didn’t bate an eyelid, rather she went ahead to deliver her forecast by going the old-fashioned ink and paper way. Morgan simply took up white paper with a couple of markers in her graceful manner and set about doing what she loves. That earned her more respect and admiration from her colleagues as well as her fans. Being a dedicated metrologist, Kolkmeyer earns a decent sum through her work. Although like many other details about her she has not revealed the amount, it would certainly not be anything less than a six-digit figure. She is only at the peak of her career and would still go far since she is young and energetic. Back in 2015, the cheery Morgan met Ryan Michel through her roommate who was also Ryan’s friend, Stefanie. The two kicked it off almost immediately and were one of the happiest couples to behold. After dating for two years, Ryan decided to take their relationship to the next level. Thus, on that fateful day, June 11, 2017, before hundreds of onlookers, he got down on one knee and proposed her to grow old beside him. Of course, she said yes. Less than a year later, on Saturday, April 14, 2018, the lovebirds exchanged their vows before families and friends at Harvard, Illinois. Morgan was born the youngest of her parents’, John and Jennifer Kolkmeyer’s two daughters. The older Kolkmeyer’s girl is Mallory, a teacher. Her family is a loving one which is very supportive and proud of their weather forecasting daughter. Her aunt, Sally Severson is also a weathercaster. She worked at 13WREX in the early 1980s and then as a meteorologist at WISN 12 in Milwaukee. Aunt Sally believed in Morgan’s ability and thinks that with her good education, brains, and talent, the sky would only be her starting point in the business. Although her work deals with covering the storm as well as gloomy days and relating it to her viewers, Morgan brings rays of sunshine and soothing strokes of the rain through her style of presentation and sunshine personality. Talk about her personality, it is further embellished with a great physique which she perfectly maintains. She possesses a slim body type and stands at a height of 5 feet 6 inches. Her brown hair and cute smile make her all the more lovely.